A Tesla Motors vehicle in a Miami showroom. Tesla has found some friends in the Federal Trade Commission. Three officials at the agency argued Thursday that the electric car company should be permitted to sell vehicles directly to customers. Many states currently forbid the practice of automakers selling cars to customers outside of the established dealer network, and the officials say that's a "bad policy." In a post on the FTC's blog, the three officials write that these state laws stifle competition, hurt consumers and the chance for new businesses to succeed. The blog post isn't more than a recommendation, as auto sales are mostly regulated at the state level, and the authors say that it does not necessarily reflect the views of the commission. "We hope lawmakers will recognize efforts by auto dealers and others to bar new sources of competition for what they are—expressions of a lack of confidence in the competitive process that can only make consumers worse off," they write. Tesla (TSLA) CEO Elon Musk has been vocal about not wanting to use the traditional dealer model. 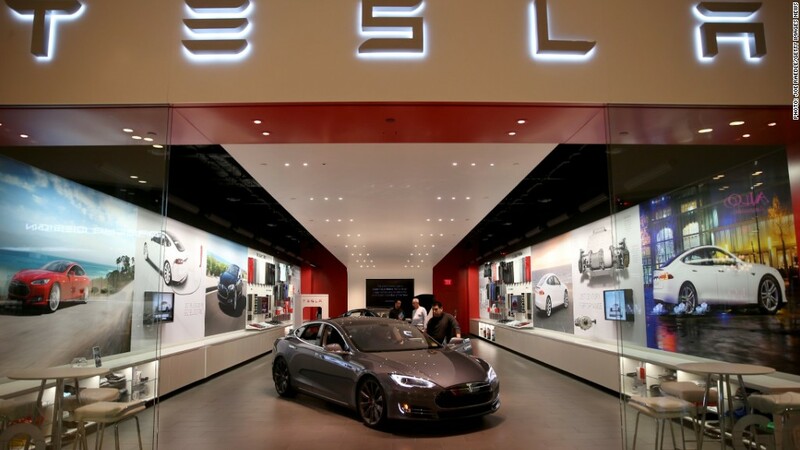 He's fought with states like New York and New Jersey to keep Tesla stores open. His company is outright banned from selling vehicles the way he wants in other states like Texas. Tesla spokeswoman Shanna Hendriks said the company "wholeheartedly agrees" with the FT'C's conclusion that banning direct Tesla sales is a bad policy. Dealership lobbies are strong in many states and argue that the law protects small local dealers from abusive practices by manufacturers. But the FTC officials write that these laws have become "protectionist," preserving just one way of selling cars: through an independent car dealer. Plus, they argue, Tesla sold just 22,000 out of the 15 million cars sold in the U.S. last year, hardly threatening established dealers. It has never had any independent dealers, and does not want them, they write. The dealership lobby isn't backing down, fearing Tesla's ways could pave the way for larger automakers to sell cars directly, too, and ultimately undermine the system of franchised auto dealers. The National Automobile Dealers Association, an industry trade group representing 16,000 new car and truck dealerships, argues that dealers competing for customers in local markets, rather than factory owned stores, help give shoppers more bargaining power. "Buying a car isn't like buying a pair of shoes online," said Jonathan Collegio, vice president of public affairs for the NADA. "Cars require licensing to operate, insurance and financing to take home, and contain hazardous materials, so states are fully within their rights to protect consumers by standardizing the way cars are sold," he said.